Not Everyone Can Do That!  - ONRAD, Inc.
23 Oct Not Everyone Can Do That! When one lives outside of a large metropolitan area, or when traveling or visiting a rural area, or even in a large city in the wee-hours of the night and they experience a health-care crisis (no, don’t worry, this article isn’t about the Affordable Care Act) they may find one of the most important aspects of their medical care is provided from somewhere other than the building they’re in. Here’s how this could happen – If an emergency requires diagnostic imaging, along with the skill-sets of the facilities’ emergency department, nurses, physician/physician specialists of who are generally on-site (but are now following in the steps of teleradiology with remote diagnosis), the behind-the-scenes skills of a teleradiologist are often vital to the patient’s healthcare. Not all of these behind-the-scenes radiologists are the same, thus the title “not everyone can do that”. As with physicians specializing in a particular discipline, aspects of the human body or the treatment of specific illnesses/disease, radiologists often choose to advance their skills by becoming additionally certified in a single or multiple subspecialties; Musculoskeletal Radiology, Neuroradiology, Body Imaging, Trauma/Emergency Radiology, Abdominal Radiology, Pediatric Radiology to name a handful. When a healthcare facility is aligned with a professional radiology services organization, the scenario is enhanced. All of the subspecialty interpretations provided by teleradiologist may be present at the same time. This level of support is made possible via the super-highway, 24/7/365 days a year. During a recent conversation with Dr. Linda Dew, Radiologist with Online Radiology Medical Group (ONRAD), Dr. Dew shared, “I feel as though I am helping more people gain the highest standard of quality healthcare in a timely fashion”. Dr. Dew continued, “In being a part of an organization like ONRAD, the sum is greater than any one of us”. “Care-givers, physicians, and the ED staff gain final and timely reports to aid in providing results for the patients we are all ultimately caring for – and doing so with best-in-class healthcare”. During my conversation with Dr. Dew, I asked if she had one particular situation indelible on her mind where prompt radiology diagnosis undoubtedly helped to save lives. Without a pause, Dr. Dew quickly referred to a train accident she and others supported with her subspecialty (MSK) interpretations. The hospital providing the emergency services had qualified staff; however, the need for overflow coverage and the subspecialty interpretation skills were essential in providing the right care for several of the injured, and at the right time. For the large number of hospitals lacking the means to support a radiology staff 24 hours a day and/or to be on-site during weekend hours, having an agreement with a professional radiology service organization provides the solution. Diagnostic images are sent via high-speed telephony for physicians like Dr. Dew to review and interpret from afar. The radiologists then promptly communicate with the care-givers who are physically with the patient. In situations like this, Dr. Dew pleasantly referenced, “It’s as if we are right-there helping to support the physicians and care givers, and notably, the patients”. In closing, Dr. Dew added, “Every day I feel I’m part of each of the communities we’re supporting”. Meet our Blogger(s): Dr. Linda Dew is one of ONRAD’s team of nearly 60 radiologists and Darrin Dodge is our Director of Business Development.